Completely revised, this updated cookbook bursts with dozens of new color photographs and more than 200 recipes to entice even the fussiest baby or toddler. This classic cookbook covers the essentials, from flavorful first purees, winning lunchbox combos, and easy-to-make family meals to finger-licking picnic and party noshes, all while delighting the eye and providing hardworking information on nutrition, preparation and cooking times, freezing instructions, and tips on how to handle food allergies, additives, and tricky eaters. The link between the food that children eat and their physical and general well-being is widely recognized today. Armed with this easy-to-use cookbook, you can be confident of preparing enticing food that will give your child the best nutritional start in life. 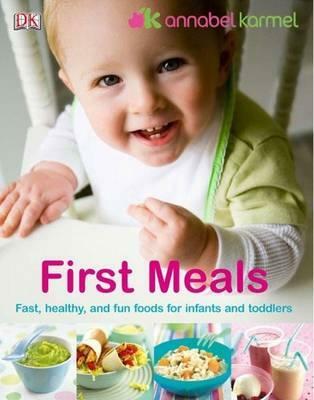 From first foods for weaning babies and delicious snacks to tempt toddlers with tiny appetites, to imaginative and nutritious meals that the whole family can enjoy. No household with young children should be without this cookbook.